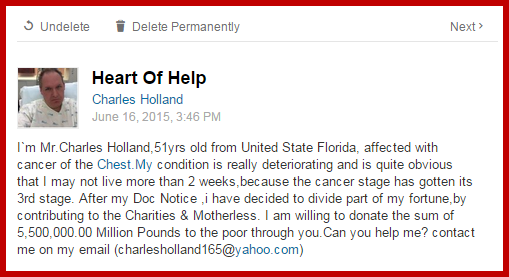 If you are willing to help Charles Holland he will donate the sum of 5,500,000.00 Million Pounds to the poor. I’ve reported Charles Holland. Hope you take the time to report him to, if he solicits you. It’s disappointing to find so much SPAM on LinkedIn but I guess a huge database of professionals will attract spammers.